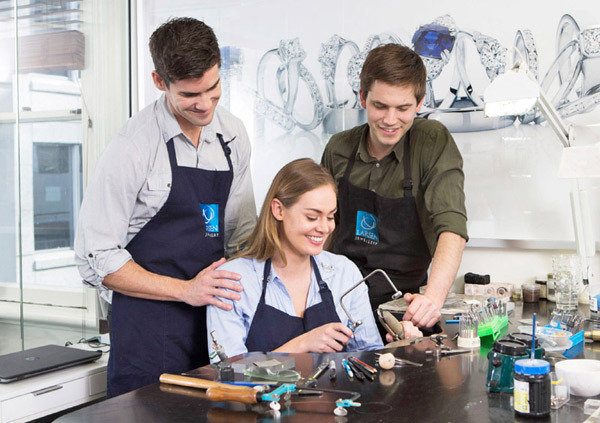 Larsen Jewellery is the only place in Australia where you can share the unique and romantic experience of making each other’s wedding rings under the guidance of your own personal jeweller. Designing and making a ring for your partner as an everlasting token of love is possibly the most romantic gesture one can make. The Wedding Ring Experience only takes around four hours and we guarantee a perfect result. Most designs are possible, from classic wedding bands to unique wedding ring designs involving diamonds, engraving or a mix of metals. 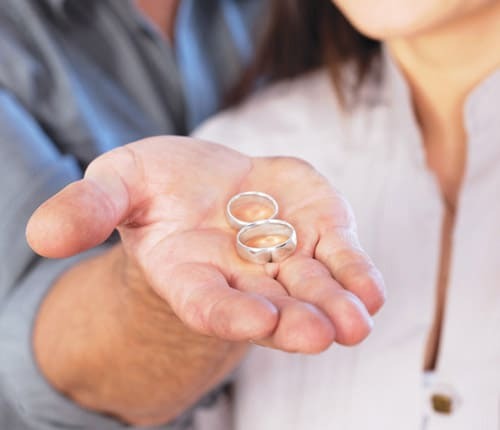 Your jeweller will add any design features, such as diamonds, after you’ve finished making the rings and will also make sure the wedding ring matches perfectly with your engagement ring, even if it has an unusual shape. You are very welcome to come in for an obligation-free design appointment before making a booking, or alternatively, you can choose the design on the day you are booked to make your rings. We have a wide range of display rings you can try on for inspiration, but as the rings are completely custom made, the design variations are only limited by your imagination. Have a look at our picture gallery which has a selection of wedding ring designs. Once you have chosen your design, you move to the workbench which is where the real magic happens! The ring making process involves traditional handcrafting techniques: milling, bending, soldering and the finishing touches of filing, buffing and polishing. Click here to see a short video of a couple making their rings. 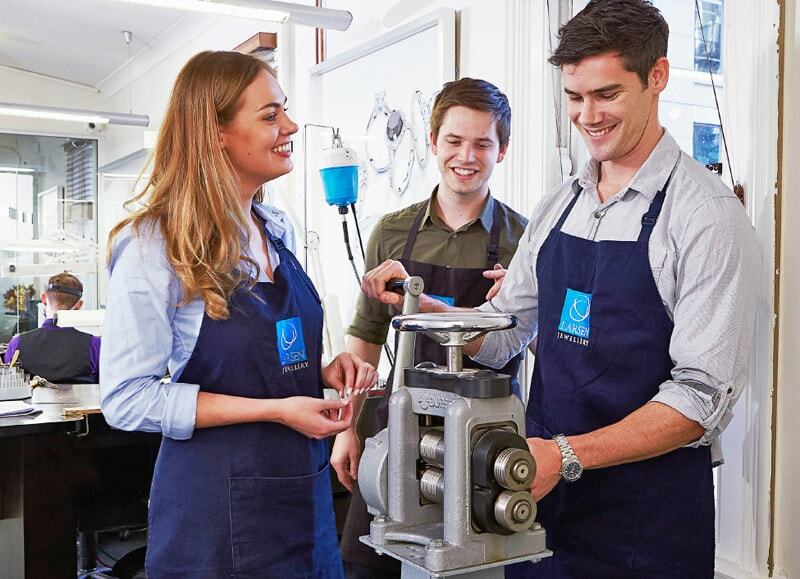 For the duration of the ring making process, an expert jeweller will be by your side, offering guidance and ensuring that your rings turn out perfect. No experience or creative skills are required. The process has been set up so that anyone can do it! During the experience we’ll serve a light lunch and beverages, and on completion, champagne is served to celebrate. Also included in our service are photos of your experience and a lifetime of annual polishes to keep your rings in sparkling condition. If you have any questions, please visit our Frequently Asked Questions section on our website. For any price enquiries, please have a look at our Wedding Ring Prices page or give us a call for a quote. To read what some of our happy customers have said, please click on the testimonials page.